It’s a New Year, the first year of the Summer-Dry Project. In California we are happy to report we had heavy rains in early December but a bit nervous that it has not rained in 3 weeks. So it is with the Project, launched with much excitement last year but awaiting fresh energy to expand the database to include garden photos all nursery plants available in California according to the WUCOLS. 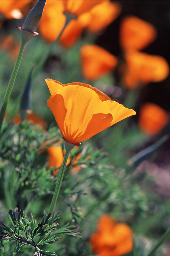 Soon we hope to have Nora Harlow, the Project Director and author of the EBMUD book, Plants and Landscapes for Summer-Dry Climates as our resident expert who will add posts and information on plants in the database. We will be reaching out to various water agencies and the California Department of Water Resources for help and funding of our project. No matter how much rain we may get this winter, or any winter, we garden in summer-dry conditions and must educate gardeners on the best plants for sustainable practices. We believe photos can help encourage best practices if gardeners can see real gardens, beautiful gardens. This entry was posted in Blog, Newsletters by summerdry. Bookmark the permalink.